In my never-ending quest to find new food experiences, I will sometimes find an ingredient that I haven’t cooked with and then look to find a recipe to highlight it. 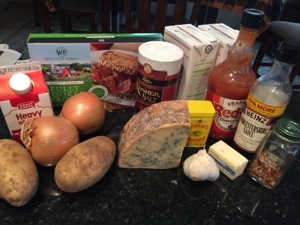 This time, stilton cheese. I had occasionally had some stilton on a cheese tray, but had never cooked with it. I assure you, I will cook with it some more. This was excellent. 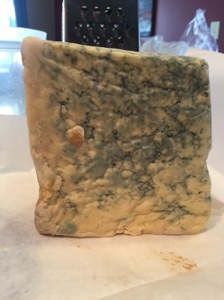 Stilton is a variety of blue cheese that must be made in the three counties of Derbyshire, Leicestershire, and Nottinghamshire in England. Curiously the town of Stilton does not fall in any of those counties. From cheese to hot sauce, there are some interesting ingredients here. 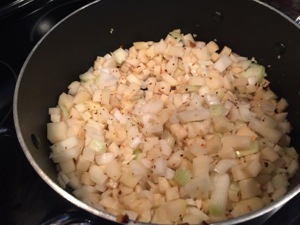 The potatoes and onions are diced. Now it looks like soup. 1 Melt butter in a large saucepan over a low heat. 2 Add onions, potatoes, red pepper flakes and garlic, cook, stirring until onions are clear . 3 Add stock and bring to a boil. 4 Reduce the heat and simmer for 15 – 20 minutes or until the potatoes are fork tender. 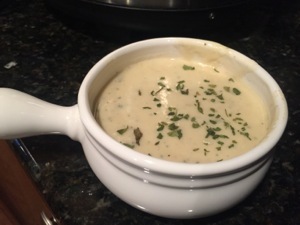 5 Place soup in a food processor or blender with half the bacon and process until smooth . 6 Pour cream into a saucepan, stir in the mustard and bring to a boil stirring constantly. 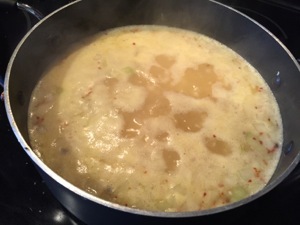 7 Reduce heat and simmer for about 4 – 5 minutes. 8 Slowly add the crumbled cheese, stirring until melted. 9 Season to taste with the tabasco, Worcestershire sauce, salt and pepper. 10 Sprinkle with remaining bacon and Stilton cheese and serve. Yummy! Looks perfect for the cold winter evenings we are having lately! 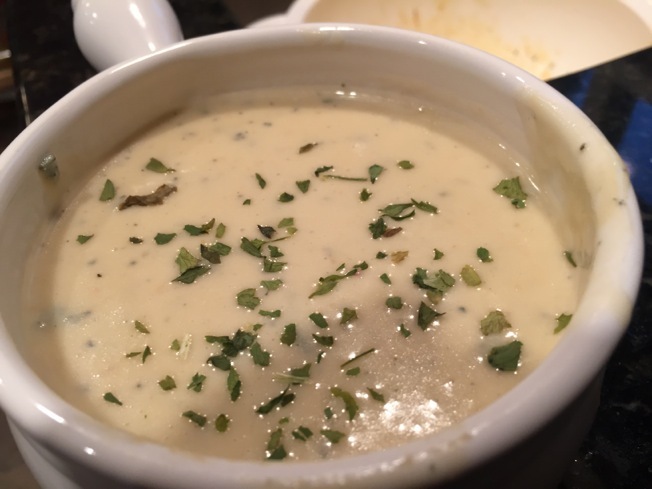 Soups are satisfying and soothing. 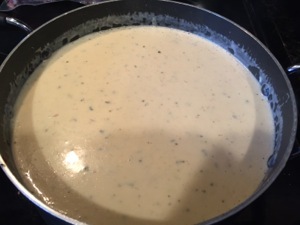 Stilton soup makes it more interesting!